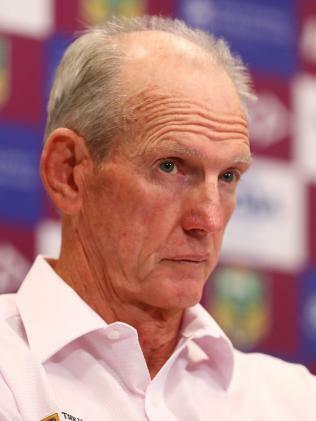 THE rest of Brisbane's season is not about Wayne Bennett. I suspect I am like a lot of other people out there when I say I am sick of hearing about Bennett and Paul White and the club's coaching dramas. I am even sick of talking about it and that's what I get paid to do. It's been distracting for me. 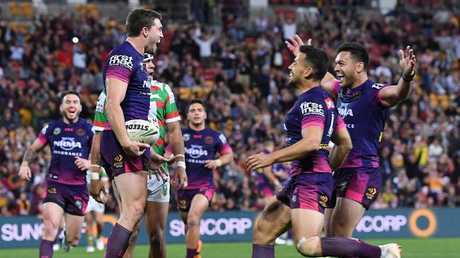 I'm a Broncos old boy and sometimes I'm accused by fans and critics of no longer caring about this club. But after what I have seen over the past week, I can assure you the truth is quite the opposite. I have never cared more about the organisation and where it's going right now. And if that's what it's been like for me, imagine how it's been for the current squad of Broncos players. I've had my say on Bennett a number of times in this column and I don't need to repeat myself. But in my opinion, Bennett looks preoccupied. That is why the players now need to stand up and take accountability for their own season and their run to the finals. No one else is going to do that for them. 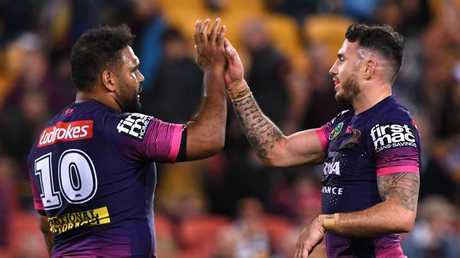 Bennett has always rammed home the message that for his players, the most important things are about what you bring to the club, the organisation and what you're going to do on the field. The players have to remember that. I think they showed they can do that with their win over South Sydney on Thursday. When push came to shove on the field, the players stood up and delivered. With everything that has happened through the week, it's great to see how the players reacted when there was so much uncertainty about what's happening at the club, their futures - everything. It wasn't about the first 20 minutes when they had an 18-0 lead as South Sydney looked like they had been ambushed. 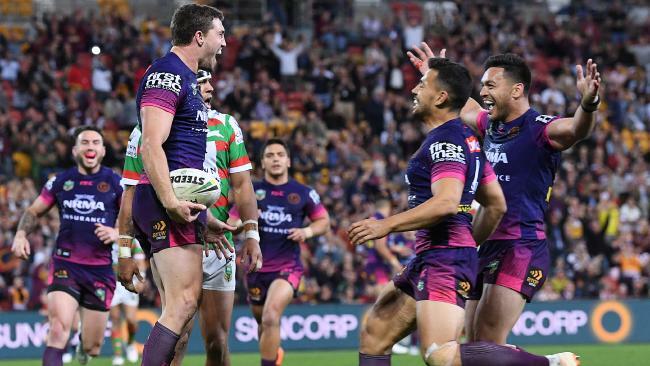 It was about the way they responded when the Rabbitohs rallied. Were Brisbane perfect? No. But they did enough to beat one of the premiership favourites. And they can't let that slip as they head into September. They have to continue to play the way they did on Thursday night. They have to remain focused, remember the blokes who have walked before them at that club, what their families have sacrificed and what motivates them to play. The Broncos playing group have to stay out of everything else. Shut it out. They are not politicians. If they become involved in all this coaching nonsense - as was suggested during the week with "barbecue-gate" - there's only one way it can go and that is badly. If you align yourself with the coach and he's not there in a few years and the club don't want you because of it, it's not a great look. The playing group now just need to leave all of this off-field drama to the powers that be. They need to trust those people are making the right decisions for the club and Brisbane's future. I really hate that we are talking about all these coaches when we're at the pointy end of the NRL season - it hasn't just been the Broncos. This time of year isn't about coaching merry-go-rounds and who will be where in 2020. Fans watch footy for different reasons but trust me, none of them watch it for the circus it has been this week.